What Are the Benefits of a Professional, Design-Build Approach? Increased communication and less opportunity for things to slip between the cracks. Attention to all of the details in the design and in the detailed proposal for construction. Education about the remodeling process, design & products. Budget with the design geared toward a realistic budget. You have a guide for the entire remodel process. Develop trust and confidence, by getting to know the company and their abilities. Better service, since you work with one company throughout the entire process. More time devoted to you and your project to determine the best possible in both design and products. Minimize changes and cost increases by making all product selections prior to construction. Creates realistic expectations, so you have a complete understanding of your project’s details. Guaranteed quality ensured by diligent oversight of your project. Reduce stress and speed up the process by doing details before construction. Feasible and cost effective projects can be designed. Familiarity and expertise with the entire process. Seamless transition between the phases. The best value can be achieved. What is the Goal of a Professional Design-Build Process? 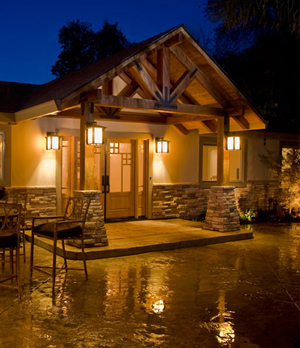 Eberle Remodeling is a design/build company specializing in taking clients from project inception to project completion. In the Design and Product Selection and Estimate phases, we spell out as many details as possible to obtain an accurate estimate. A detailed, accurate estimate leads to a smooth transition to the construction phase. By eliminating the potential for changes and addressing the details ahead of time, actual project costs can be determined. Changes are very costly, and designing projects and selecting products during the Construction phase is even more costly. In the long run, The Design – Build process saves you money and headache in the long run. Creating a realistic budget and working towards it is another very important goal in the Design and Product Specification phase. Designers, architects, draftsmen and other design personnel, may design projects without ever addressing the potential costs. If costs are insufficiently addressed, it is unlikely that a financially realistic project will result. In far too many cases, these other design personnel, are not familiar with construction costs, or they may not know how to build. Unfortunately, the budget is not considered and the project ends up costing more than the homeowner can afford. In addition, these design personnel are not typically trained in the entire remodel process. They may perform their design, and then leave the contractor and the homeowner to interpret potentially vague and inadequate plans, as well as unspecified products. There is no continuity to the entire process. Many important details may be missing. 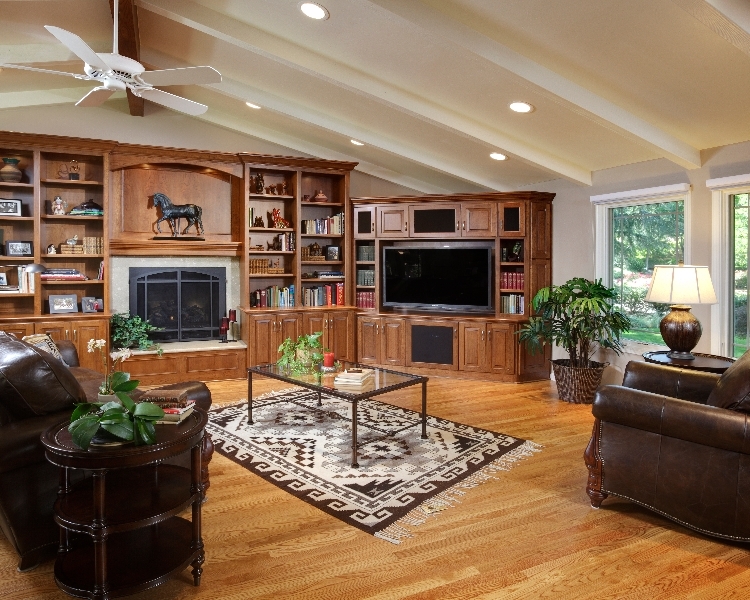 Eberle Remodeling’s goal is to create a realistic budget from the beginning and then work towards meeting the budget. Our goal is to address ALL of the details, as best we can, ahead of time. We have designed and built hundreds of projects. We bring our expertise to you and your home. We are your guide through the entire process. We look forward to working with you and providing you with the quality and smooth remodeling experience for which we are known. What is the Homeowner’s Part in the Process? In essence, the Design – Build process allows the homeowner to get what they want, since the homeowner is thoroughly involved in the Design and Product Selection phase of their project. It takes a good deal of our time and effort to design a project that is both very functional and aesthetically pleasing. We want to spend that time with you to have a comprehensive process. We are in the best position to guide and assist you in the Design and Product Selection phase, since we are involved in all phases of your project. Our goal is to ease the burden of this process through communication, education, and professionalism. Frequently, many homeowners are under the impression that they don’t need some of the important parts of the process, like a permit, design drawings, or detailed product selection. Unfortunately, these misconceptions can lead to trouble. Eberle Remodeling recommends that a permit be obtained for most remodeling work, since, by law, a permit is required for structural, plumbing, electrical and mechanical changes. Your local building department will require that detailed construction drawings in order to obtain a permit. These drawings are required, even for many “remove and replace” type remodeling projects. Your local building department wants to see these drawings and inspect the work to ensure that the work performed meets code requirements. In addition, the drawings help to ensure that the homeowner and the contractor have the same understanding of the project and assist in leading to detailed product selection and a detailed proposal for construction. What is All of This Going to Cost Me? Design fees will vary depending on the scope of work desired. We need to talk about your project and actually visit your home to get an idea of the scope of your work. There is no charge for the initial consultation at your home. We will then send you a detailed design agreement. Our design agreements are based on a flat fee, with hourly parameters for our necessary design meetings. Design fees are credited back to you, assuming a construction agreement is signed. Estimating construction costs is a very difficult task, since there are so many different types of designs and so many different types of products that are available today. It is extremely difficult, if not impossible, for anyone to guess as to project costs. There are frequently several different installation methods for a given product. These methods can affect the costs dramatically. The goal of addressing all of these details ahead of time is to find out exactly how much it will cost. In order to get to a final cost, a detailed design must be completed; all the products need to be specified; and we need to determine how they will be installed. This information then leads to the completion of a detailed proposal for construction. We will likely be able to give you ballpark ranges of typical costs, or information on typical costs for projects in our area (see “Remodeling” magazine’s “Cost Versus Value Report” – www.CostVersusValue Report.com). Ultimately, what you can afford and what you want to spend will be our guide, but if your budget is not consistent with typical project cost ranges, we will let you know.